This page contains new products, semi-custom products and / or "experimental" products. All the equipment here has been built and tested, but these items are not ( for various reasons ) completely suitable for "general retail" sales. Still, some folks might have an immediate need or a keen interest in this equipment, and inquiries are invited. The posted prices are ( somewhat ) "negotiable", depending on customer needs. 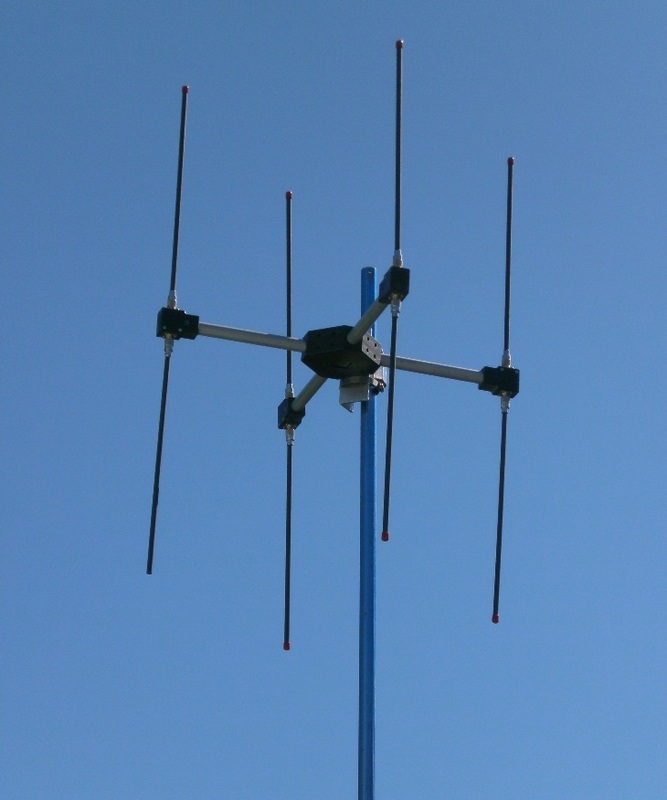 The FlightDopp DF essentially is a PicoDopp DF with an integral VHF/UHF single-band reciever. Operation is 100% by remote control, via RS232. 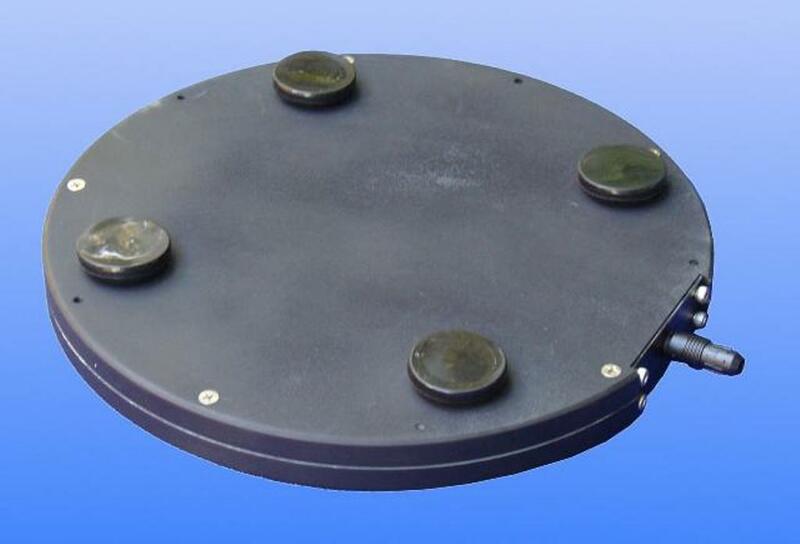 Designed for use in RPV / UAVs, weight is 9 ounces and power is 11 to 18 VDC, 105 mA. 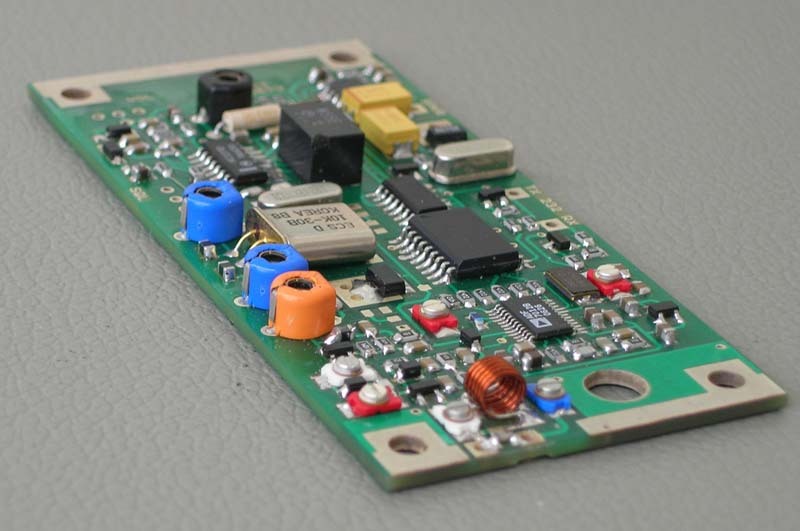 The dual-conversion receiver can be built for any 10 MHz band from 100 to 1000 MHz, with 1 KHz tuning steps. 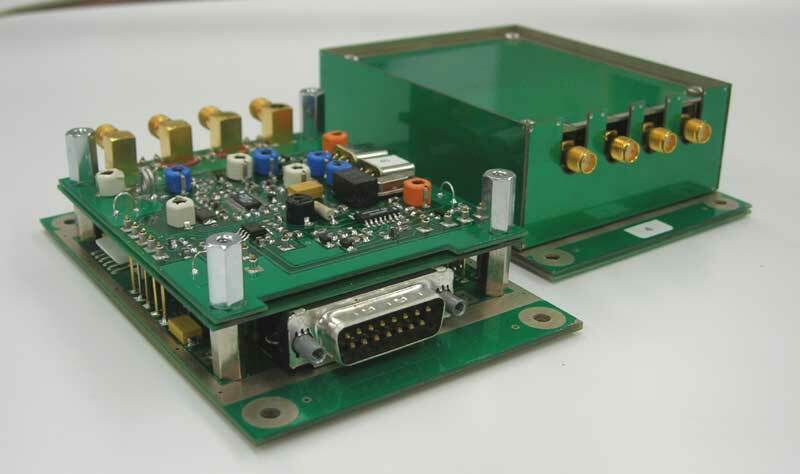 AM and/or FM modulation detection, audio out for downlink monitoring. Remote control of recieve frequency, AM and FM audio levels, and squelch level, via RS232. FlightDopp Includes five assemblies : one DF unit and four ANTENNA boards. The user must provide an on-board host computer ( and software ) to operate the DF and capture / employ the resulting DF data, as desired. Additional features are available : RSSI / signal freq error / SquealTone audio. State your requirements for a specific quote. The URX-1 Utility Receiver is a single-band VHF/UHF FM reciever with RS232 remote control of frequency, audio and squelch levels. 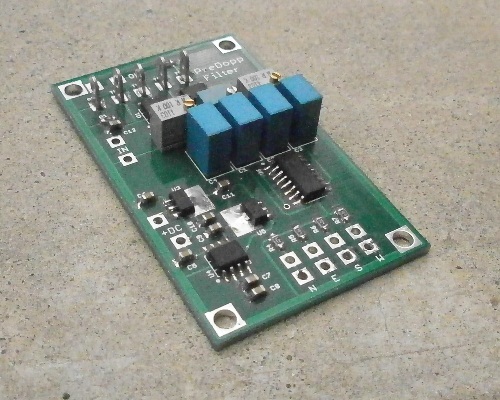 Sold as an assembled / tested PC board, and created as a "companion" reciever for the DF equipment on this website, it can also serve well as a general-purpose FM reciever. 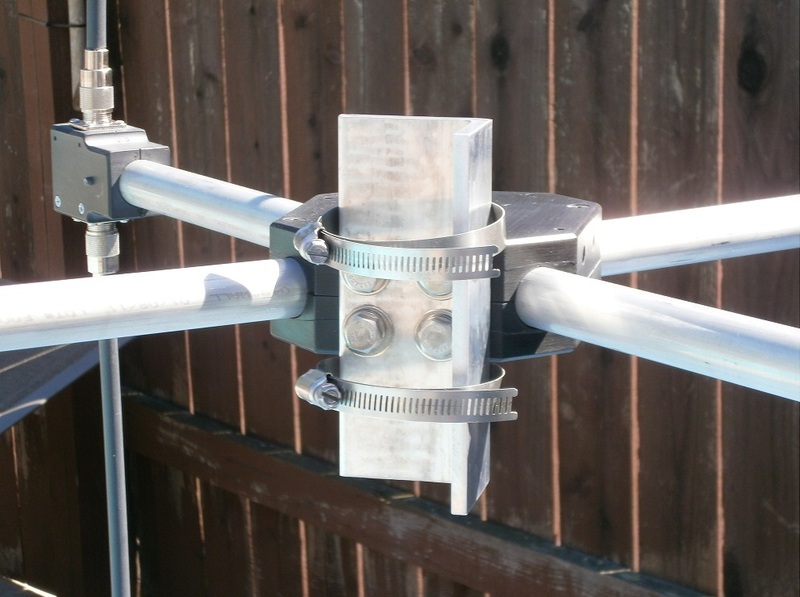 The URX-1 design is very flexible, and can be built to span a 10 MHz band, ( from 100 to 1000 MHz ) in 1 KHz steps. URX-1 designs presently exist for 120-130 MHz as well as 140-150 MHz and 465-475 MHz. Measuring 1.75 x 3.78 inches and weighing 0.2 ounces, DC 10-18 volts with 30 mA "idle" load current, ( squelch closed ) the URX-1 is especially suited for situations where light weight, small size, modest power consumption and / or 100% remote control are required. The MicroBeacon TX is a 2 meter APRS beacon transmitter that reports GPS position / altitude at regular time intervals. 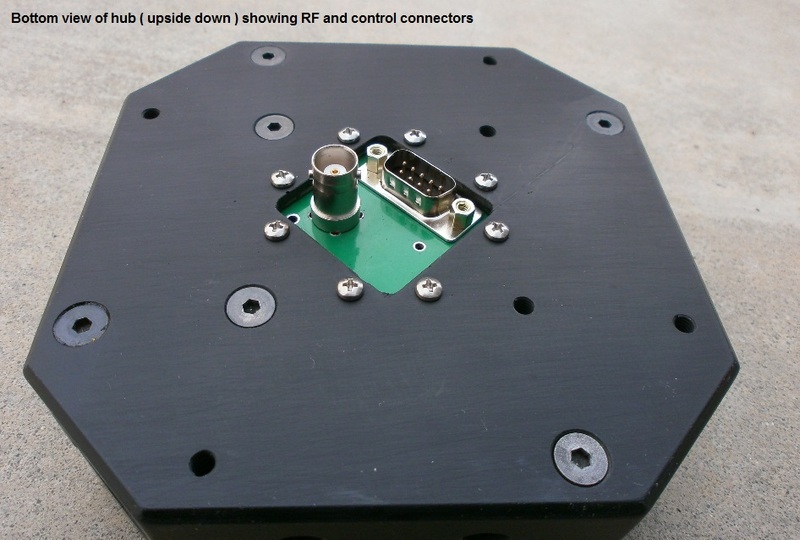 User must provide an RS232 GPS reciever, an antenna and DC power, 7 to 14 VDC. The MicroBeacon TX measures 1.20 x 2.20 inches, and weighs 1/4 oz. Sold only to licensed amateurs. The WinBeacon config utility program allows user configuration of the MicroBeacon APRS transmitter ( see item above, this page ) with an IBM PC, via a serial COM port. 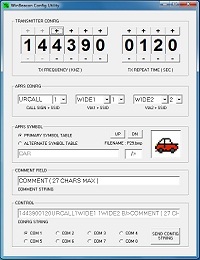 The program allows user selection of transmit frequency, transmit repeat time interval, callsign + SSID, VIA1 / VIA2, APRS map symbol/icon, and a user defined comment. When a new configuration is installed, the MicroBeacon will perform a test transmission on the new TX frequency for 9 seconds, to verify reciept of the new profile data. 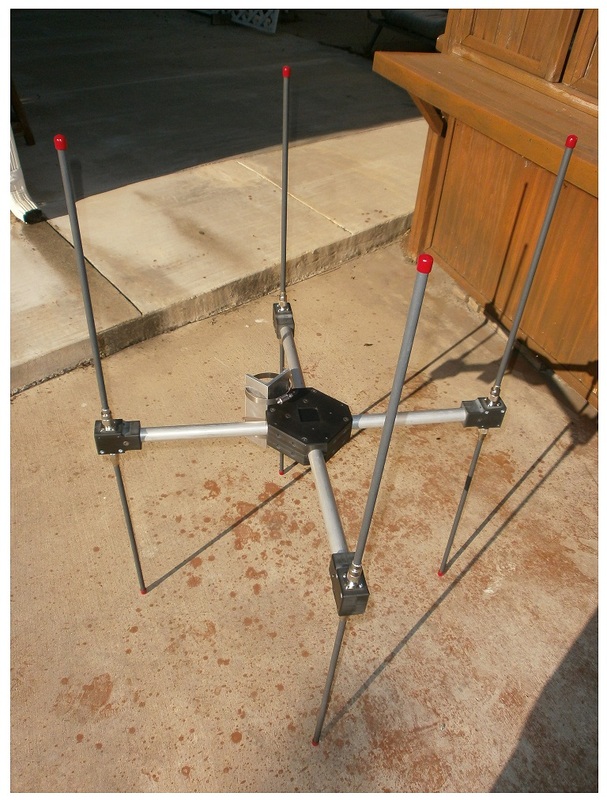 The BaseDopp antenna is a vertical dipole array for base station Doppler sites, including automatic sites created with the DoppSite program. Maximum hunt frequency ( standard antenna ) is 170 MHz, suitable for use down to 100 MHz and accepts regular PicoDopp antenna switching signals. The MiniMount weather enclosure is a weatherproof enclosure for the MiniAntenna that is offered on this website. Made of durable ABS plastic, weatherproof and sturdy, it includes a waterproof 6-pin Hirose connector and mating plug. Overall diameter 11 inches x profile height 1.0 inch. The internal cavity has adequate room for a MiniAntenna as well as a URX receiver and a PicoDopp, enabling the creation of a complete DF unit ( less display ) in a single weatherproof enclosure. Mounting is accomplished with magnetic feet, to allow quick / easy install / removal on a vehicle rooftop. 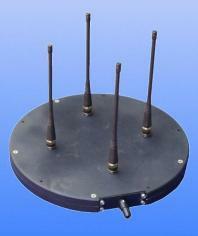 BNC mounted antenna elements are included. The PreDopp audio preselector is a module that extends the useful frequency range of a Doppler deep into the low VHF / upper HF frequency range. Doppler tone modulation at such frequencies is microscopic, and much too low for normal detection by a PicoDopp DF. The PreDopp boosts the DF tone level with a VERY narrowband ( sub - Hz BW ) audio filter, followed by significant audio gain.